To earn and maintain the attention of decision makers, brands need a content marketing strategy that leverages relevant and engaging content to reach the right audience members at every stage of their journey — because leads rarely follow a linear path to purchase. It goes without saying that creating a standout content strategy in the content marketing platform space is difficult, because these companies (unsurprisingly!) tend to be pretty good at content marketing. To find an edge in this environment, leading content marketing platform DivvyHQ needed a way to become more precise and focused, in order to break through the competitive clutter and speak directly to their core persona, content marketing managers. They turned to TopRank Marketing to help make it happen. Our goal was simple: Create content specifically for this key role, improving the quality and relevance of web traffic to boost DivvyHQ’s marketing ROI. Here’s how we went about it. To support lead generation and middle- and bottom-funnel goals, we developed a strategy to provide best-answer content to DivvyHQ’s content marketing manager audience. We conducted deep audience research to understand the questions these content managers wanted answered, collaborated with the DivvyHQ sales team to gain insight on customer pain, and built topic clusters to organize comprehensive content around key subjects. Our content mix combined higher-level information, like trends and stats, with practical guidance such as how to create workflows in DivvyHQ and when to move from a project management tool to a content marketing platform. We sought to solidify DivvyHQ’s distinct and unique voice — one that is honest, candid, straightforward, and reliable. Then, to promote the new content and to further improve DivvyHQ’s marketing ROI, we implemented strategic PPC updates, leveraging content offers like asset downloads, free trials, and demos to target decision makers at every stage of the funnel. “Lead quality has definitely improved,” according to DivvyHQ Co-Founder Brody Dorland. “The prospects coming through our website front door are much closer to our ideal customer than they have been in the past. What you’re doing is working!” he says. 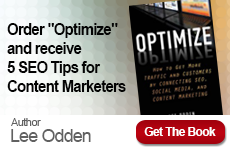 Ready to Drive Consistent Content Marketing Results? Let us help. 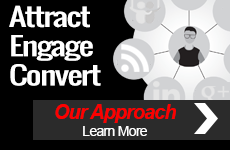 Check out TopRank’s B2B Content Marketing services to learn more about our approach, or contact us to get started today.